This past Saturday May 21st I was up in Carmel NY to do caricature work for proceeds going to Putnam Hospital. 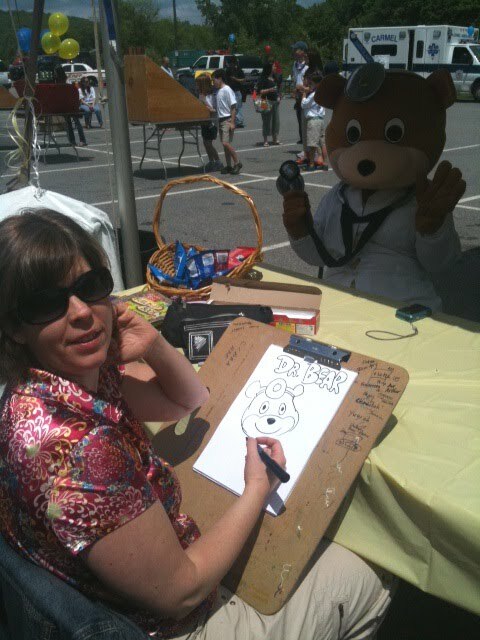 The main attraction there was Dr. Bear who was very kind to get his caricature drawn out of his busy busy schedule. To be honest, I had never drawn a live bear before but he was a great sport. I also got to draw a dancer named Grace who was a lovely. Kids Day was a success!